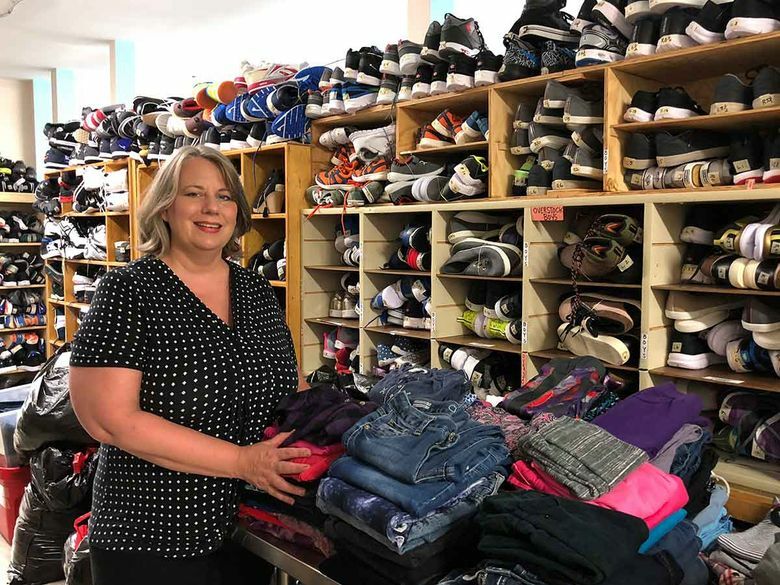 Executive director of Clothes For Kids says she’s constantly reminded of the community’s generosity. What do you do? I am the executive director for a nonprofit called Clothes For Kids [in Lynnwood] that provides free school wardrobes to low-income students. I work with a small but amazing staff (just two!) to keep the daily operations of the program running well and meeting the mission of the organization. I also work with the nine-member volunteer board and spend much of my time fundraising and building relationships to support the work of Clothes For Kids. How did you get started in that field? I started as a marketing assistant for Junior Achievement and gradually worked my way up as an event coordinator, campaign manager and, eventually, a development director. I’ve worked for many local nonprofits, always with organizations that serve children. I firmly believe that children are essential to the future of our community, and I feel blessed to serve them. What’s a typical day like? The thing I like most about my job is the variety. One day I might be attending a networking or outreach meeting and the next I might be writing grants, creating a newsletter, meeting with a potential or existing donor, or drafting reports for our board. What surprises people about what you do? Clothes For Kids is a grassroots nonprofit that receives no government support. We are completely supported locally through our community, and we are able to serve 3,000 students each year with only three staff members. We have more than 60 volunteers that make our program possible, and a wonderful community that consistently offers financial and in-kind support. What’s the best part of the job? I get to meet wonderful people daily, and am constantly reminded of what a generous community we live in. The best part of my job is working in the shop when the students come in for back-to-school shopping. When a 6-year-old smiles and says they got their favorite color coat or their favorite superhero on a shirt, and when their parents look so relieved and happy that their children can be prepared for school — that’s the best.